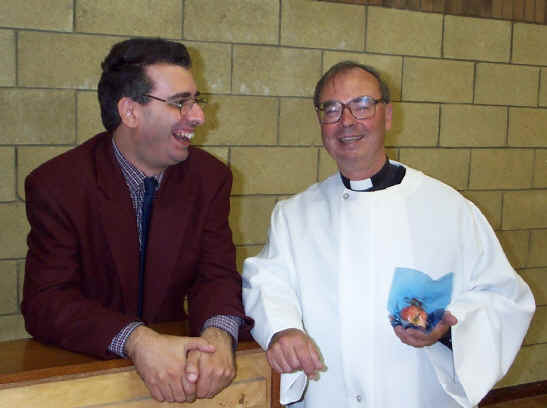 On Sunday 6 October 2002 we welcomed Fr Pauls Iles and Ian Higginson. 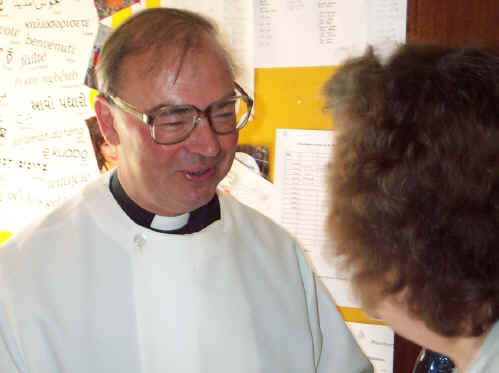 Fr Paul is holding a chocolate-coated apple prepared by the children of the Sunday Club. Ian is standing at the piano in the St Nicolas' Hall. He is eagerly waiting for us to move back into the church so he can play the organ.